Through this form of religious education, consisting of forty stages, between Prophet Muhammad (pbuh) and people, a person can elevate himself to a certain level of knowledge. Traditions are the true offspring of a civilization or culture through which that civilization can survive. 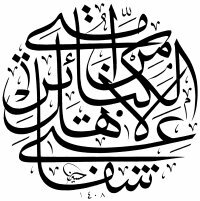 The tradition of forty hadiths (sayings of the Prophet) is one of the precious elements that carries on the nobility of the culture and in particular the morality of Islam. Also, in terms of quantity and quality, it is the most developed of the religious-literary works. The compilations of forty hadiths have the function of conveying the Islamic faith, morality and perspective in a way that can be understood by everybody. These compilations have the crucial role of conveying religious knowledge and thus enabling it to be practiced by striking a middle way between academic sophistication and the plain language of the majority. Through this form of religious education, consisting of forty stages, between Prophet Muhammad (pbuh) and people, a person can elevate themselves to a certain level of knowledge. As such, the compilations of forty hadiths comprise one of the most practical forms of religious education. The first compilations came into being at the end of the second century after the Hijra. But, what was the starting point of the collection of the forty hadiths? There was more than one reason. The initial reason was a saying of Prophet Muhammad: "Those people from among my ummah who memorize forty hadiths shall be resurrected on the Day of Judgment as scholars." The reason why such a strong tradition is based on just one hadith is that the secondary basic source of Islam, after the Quran, is the sunnah, namely the words and deeds of the Prophet. Another hadith that supports this tradition is, "it is incumbent upon every present to inform those who are absent". That is why those the "present" scholars wanted to compile and convey the commands of Prophet Muhammad to others. Another inspiring hadith on the same issue is, "May Allah make the face of one who hears something from us and conveys it as he hears it shine." These two inspiring hadiths are the basic factors for the compilation of the forty hadiths. Each flower in this bouquet conveys the rare and precious smell of virtue that does not exist in any other flower. Traditions are the true offspring of a civilization or culture through which that civilization can survive. Before mentioning another reason for the compilation of forty hadiths, it is necessary to deliberate on these hadiths. When he says "my ummah", Prophet Muhammad is speaking of the people who embraced the religion of Islam as a life style. To embrace a doctrine as a life style necessitates learning about it as much as possible. Therefore, the word "memorize" (learn by heart, hifz in Arabic) is used. The word hifz means to protect and it refers to engraving the meaning and reflection of a word in one's memory or mind. It also gives the glad tidings that if a person does this for the sake of understanding the religion, they will gain a respected position, almost like a scholar, and because of this fact, they will be resurrected among the scholars on the Day of Judgment. According to Islam, the Hereafter is a real world where the real results of a person's life experience in this world will be revealed. Therefore, for any Muslim, resurrection in the afterworld is accepted as a beginning of a more genuine life and means being embraced by true existence. Keeping this fact in mind, to take the first step to a new and real world among scholars is a divine position that a Muslim cannot disregard. On the other hand "to have one's face shine" is as blessed as being honorable. The words that make a person's face shine when they are conveyed are the words that bring enlightenment. Compared to revelation, the words of the Prophet are more detailed and tangible because they convey human reality. According to Islam, the Hereafter is a real world where the real results of a person's life experience in this world will be revealed. The question "Why is the number of compilations not either more or less than forty?" may come to mind. It may also be questioned why the number forty is so significant in an understanding that does not attach importance to numbers or shapes. In Islamic Sufi literature, the idea of suffering (chile, which is derived from the Persian word chihil) means to get stronger with spiritual purification by leaving behind worldly pleasures for at least forty days and overcoming difficulties. The number forty is a process that should be completed and the minimum number of steps that should be taken to achieve a higher level of improvement. The compilations of forty hadiths invite their followers to a forty-step intellectual journey to be a better Muslim, while pulling down the inherent wells of the personality and improving intellectually. Furthermore, these compilations make it possible for people to easily attain information. 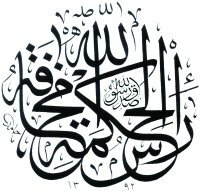 The reason for the existence of the tradition of numbers in a religion -and in the science of hadith- that lays a greater stress on the quality rather than quantity of worship is that the number forty is a quantity experience that should be gone through to achieve a high level of quality. The number forty is mentioned four times in the Quran. Three of these references are related to Moses. However, considering the fact that in the Quran it is also stated that a person reaches maturity at the age of forty, it can be said that forty hadiths may lead a person to maturity. On the other hand, the fact that the duty of the prophethood, namely thoroughly educating a person, was given to Prophet Muhammad at the age of forty, showing that the age of forty is a stage in our lives. Moreover, the following examples can be given to demonstrate the importance of the number forty: the fact that the religion Islam was considered to have expanded when the number of believers reached forty, the forty sayings of Ali, the portion of zakat, which is one in forty, the spiritual effect of the forty wise men, known as the chitlen, from the Central Asian Turks, the idea that the period for mourning is forty days, the idea that the Day of Judgment will continue for forty days, etc. In addition to these many thoughts, whether they are accurate or not, it is clear that the age of forty has critical importance for the lives of people. The compilations of forty hadiths invite Muslims to take part in a forty-step intellectual journey, which leads to intellectual betterment, a refining of one’s personality and overall goodness. In a very real sense, there has been a campaign for educating people with compilations that bring spiritual rewards. Moreover, thanks to such compilations, the unattainable and impractical bulky collections of hadiths in our libraries have become portable books. Therefore, compilations of forty hadiths are important for bringing the hadiths back to life. Please type '973' into this field.